Equip yourself with the construction knowledge and management skills to successfully manage major complex construction projects and develop your own business in an international market. Whether you are an engineer, architect or a construction professional, this course will add business competence perspective to your professional expertise and help take your career to the next level. This programme is designed for technically-competent construction professionals who wish to move into managerial roles within the construction sector, manage major construction projects or establish their own business in an increasingly globalised industry. The course combines business-based modules with construction-specific modules, to provide a construction-focused balance in business education. This course aims to provide you with the highly sought-after knowledge and skills needed to manage construction process, particularly collaborating with numerous stakeholders. Gain a broad foundation in technical knowledge and managerial skills for a rewarding career in construction management. Acquire knowledge in finance, contracts and other areas critical to delivering large-scale projects. Develop interpersonal skills, enhancing the ability to manage large and small teams and collaborate effectively with a wide range of stakeholders. The degree is accredited by the Joint Board of Moderators whose sponsoring institutions are the Institution of Civil Engineers, the Institution of Structural Engineers, the Chartered Institution of Highways and Transportation, and the Institute of Highway Engineers together represent some 100,000 of the world's leading professional engineers. The MSc Construction Management is accredited as meeting the requirements for Further Learning for a Chartered Engineer (CEng) for candidates who have already acquired an Accredited CEng (Partial) BEng (Hons) undergraduate first degree. See www.jbm.org.uk for further information. To apply for this course, you should hold at least a lower second-class honours degree in a relevant, construction discipline, such as civil engineering, architecture, surveying, construction management or facilities management. If you do not qualify for direct entry, you may wish to follow a Graduate Diploma pathway to the programme through one of our partners. If you do not meet the entry requirements, INTO City, University of London offers a range of academic and English language programmes to help you prepare for study at City, University of London. You will learn from experienced teachers in a dedicated international study centre. These programmes are designed for international students who do not meet the required academic and English language requirements for direct entry. To prepare for this degree course, learn more about the Graduate Diploma in Science and Engineering. City works in partnership with Kaplan International College (KIC) London to provide preparatory courses for international students. Pre-Masters courses at KIC London offer you comprehensive support to help you complete your postgraduate study at City. Progression to this degree is guaranteed if you complete the KIC London Pre-Masters course at the required level. An overall IELTS of 7.0 with at least 6.5 in written English, or equivalent. Thank you for having decided to apply to study a postgraduate course at the School of Mathematics, Computer Science and Engineering. Please note that the deadline for applications for the 2019/20 academic year is 31st August 2019, however we may close earlier if all places are filled. For all applicants, please upload your degree certificate and transcript of marks from your first degree. If you do not have your final results at the time of making your application, please upload a provisional certificate/interim transcript of marks. A transcript is required in order to have your application processed. If your first language is not English, or you require a Tier 4 visa to study in the UK, please upload a Proof of English Proficiency if you have already obtained it. A list of accepted qualifications can be found here. If you require a Tier 4 student visa to undertake a Master's programme in the UK, please upload a detailed personal statement outlining why you wish to study this specific course, at City, University of London. Also, please explain how your past studies have prepared you for this course and how it will help you to progress in your career. If you are applying for a part-time course, or have relevant work experience relating to the degree you are applying for, please upload a copy of your current CV/resume. Please note: Academic references are not required when you submit your application. However, the admissions tutor may request them at a later date to help make a decision on your application. Fees in each subsequent year of study (where applicable) will be subject to an annual increase of 2%. We will confirm any change to the annual tuition fee to you in writing prior to you commencing each subsequent year of study (where applicable). If a student leaves City after commencing but before completing their course, City reserves the right to charge the student the tuition/course fee for the full academic year (or full course for capacity limited post-graduate courses - up to a maximum of 2 years fees) in question. The student may be charged the full fee for that year or course as applicable unless the student is able to present justification that exceptional and unforeseeable reasons for their withdrawal exist. City has introduced an instalment payment scheme which is available to certain categories of students, including taught postgraduate students. For students following the normal academic year, the annual fee may be paid in two equal instalments: the first on registering, the second on 31st January. If you wish to pay your fees by instalment you must pay the first instalment at or before registration, by cheque or credit/debit card. You must also supply your bank details or credit card details for payment of your second instalment which will be deducted automatically from your bank or credit card account on 31st January. Jorge Riera has chosen to study the MSc in Construction Management at City, University of London. He’s an international student from Venezuela. 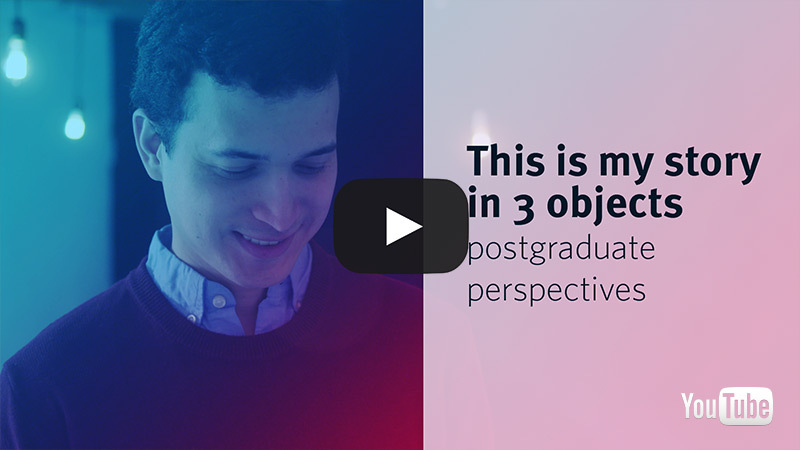 Here Jorge shares his story through 3 objects, symbolising his past, present and future. A mix of approaches is used in the delivery of the Construction Management postgraduate course. Some modules follow a traditional lecture format, while others provide a greater emphasis on case studies and learning through active participation. In general, considerable team-work in various practical exercises and group assignments is required. All modules involve undertaking a certain number of individual and/or group assignments (coursework) during the teaching terms. Many of these assignments involve essay writing. Furthermore, four modules are additionally assessed by comprehensive final examinations. Completion of modules and examinations will lead to the award of a Post-Graduate Diploma. The completion of modules, examinations and a dissertation will lead to the award of the MSc. You can choose to take the course full time or part time. A 12-month full-time option during which you attend all the taught modules during Semesters 1 and 2, and complete your Project within the 12-month period of the degree. A 24-month part-time option during which you attend half the modules in a first 12-month period, followed by the other half the next year. Students are expected to complete all the modules in this two year period. The teaching periods are structured to deliver core modules in a sequence which permits engagement by part-time students alongside full-time students. The dissertation project is undertaken by part-time students in the second year. Teaching takes place on two full days per week, with some lectures (Law) taking place in the evening. In addition, there is a small number of team-working weekends, plus a Foundation Week at the start of the programme each year, which is attended by all (full- and part-time) students. The Construction Management MSc is made up of 180 credits, with 60 credits awarded to the Project. Attendance is required to obtain 120 credits from the taught modules. The taught part of the Construction Management Masters course is based on ten core modules (a total of 120 credits), of which five are carefully chosen to provide you with a broad foundation in various aspects of the theory and practice in general management. The remaining set of modules cover important aspects in the practice of planning, financing, and delivering large-scale civil engineering and infrastructure projects. During these modules, you will focus on the development of practical management skills within a construction context. The culmination of the course is the Project: your dissertation (60 credits). This is a major individual research exercise on a topic within the broad area of construction management conducted under the direction of your supervisor. The culmination of the course is your dissertation (60 credits). The topics/titles for your dissertation can be chosen from a list suggested by the lecturers of the course, your own ideas/initiatives, or where applicable by your sponsoring company/industrial partner. You are normally required to complete all the taught modules successfully before progressing to the dissertation. This degree will give you in-demand skills sought by firms for business management roles within all parts of construction delivery - from project supervision and engineering roles through to consultancy. Graduates have gone into a range of multinational companies and consultancy firms: examples include Arup, Mace, Balfour Beatty, VCL Group aand WSP. Others have applied learning to managing or transforming family firms to more effectively compete in a global and fast changing sector. Furthermore, as a graduate, you will have the opportunity of seeking employment with prominent global architectural, engineering, and construction firms based in London through our well-established links with the industry. City also boasts a proactive and supportive careers team which can help you get the most of our unique connections within the industry. Based in the in the construction and architecture agency hub of Clerkenwell, City, University of London has connections with countless international firms and you will join a global alumni network of thousands.